Mercurio Guitars were made from 2003-2006 in Chanhassen Minnesota USA, and have a particularly innvovative feature of interchangeable pickup modules. A set of DIP switches on the rear of the guitar allow the pickups to be selected in series, parallel, coil tap, in phase and out of phase modes. This particular example is currently being offered for sale on eBay with a Buy It Now price of $1,250. I remember seeing these a few years back and it's a great idea for the session guitarist who wants access to an endless number of pickup combinations without having to cart around a whole arsenal of different guitars. For most of us though, or at least people like me, as with the Variax modelling guitars it's just too much happening on one guitar. 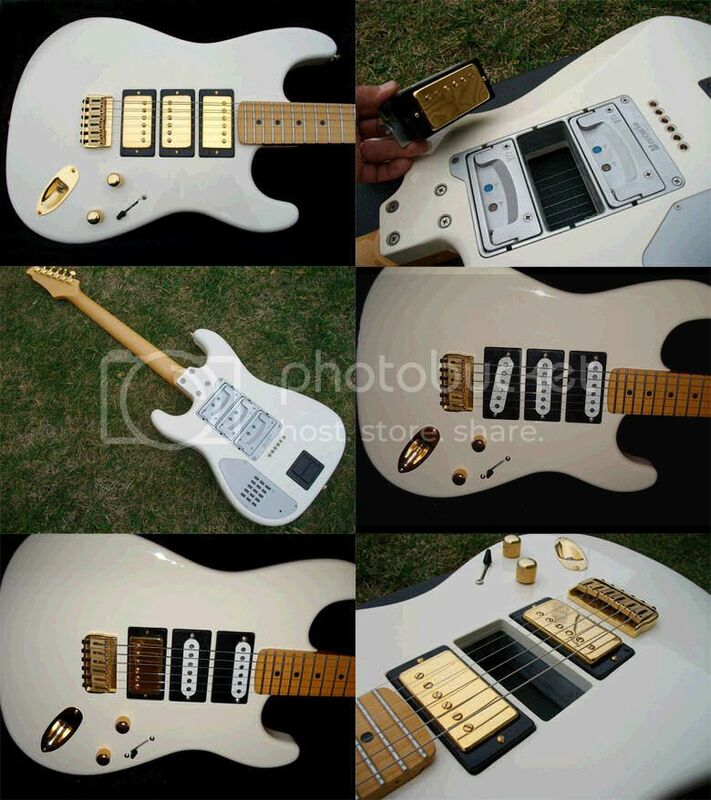 Incidentally, I've seen similar interchangeable pickups on Gibson "test bed" guitars.